Kinda fun seeing flats of annuals at Home Depot this time of year. 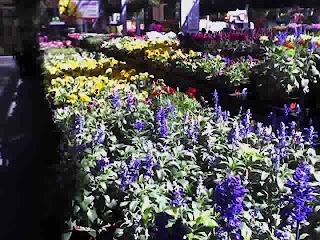 Snapdragons, petunias, etc. Rosemary sold in the groundcover section. Even more fun checking out their tiki section. 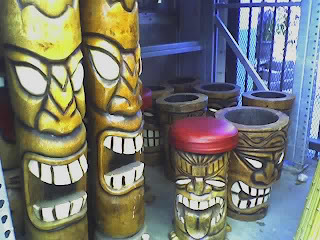 Midwest HDs are severely deficient with their tiki merch. Sorry about the crappy cell phone pix.